SEM demo room @ UCDavis. Hitachi TableTop is the large rectangular machine on the left. 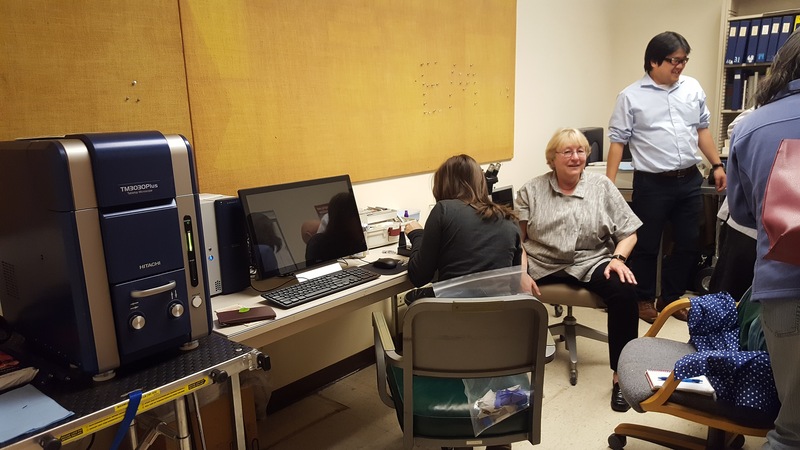 Some of us at team Seagrass participated in a workshop on SEM (scanning electron microscopy) sponsored by the Electron Microscopy Lab at UC Davis. For this week only Hitachi Tabletop SEM was made available to researchers to test out. 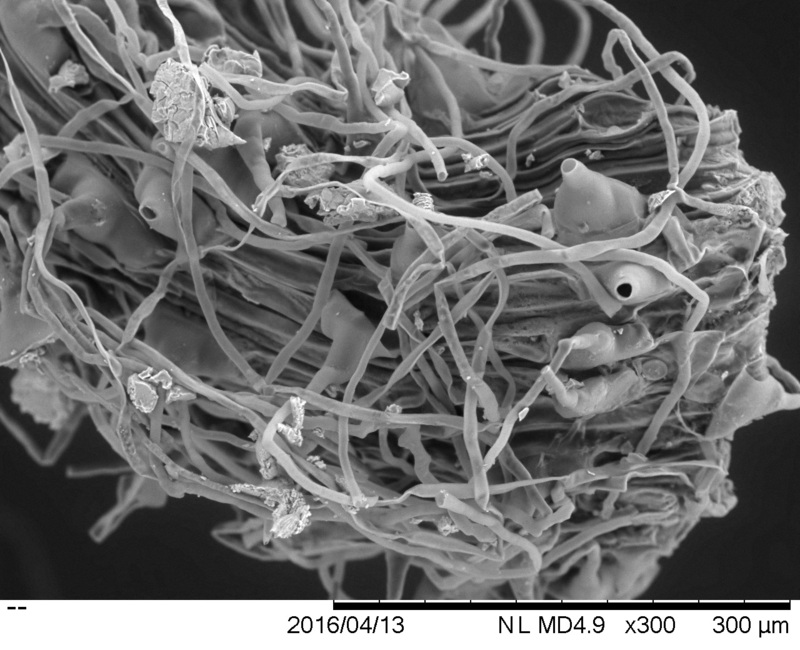 SEM is a great tool to produce high resolution images, especially for samples for which preparation techniques would otherwise alter the sample. We decided this would be a great opportunity to visually explore microbial diversity on seagrass roots/leaves/rhizomes. The amount of sample and preparation is minimal relative to other techniques. We’ve been particularly concerned with our previous FISH images, as FISH requires many washes, and may be removing microbes from the surface of our samples. 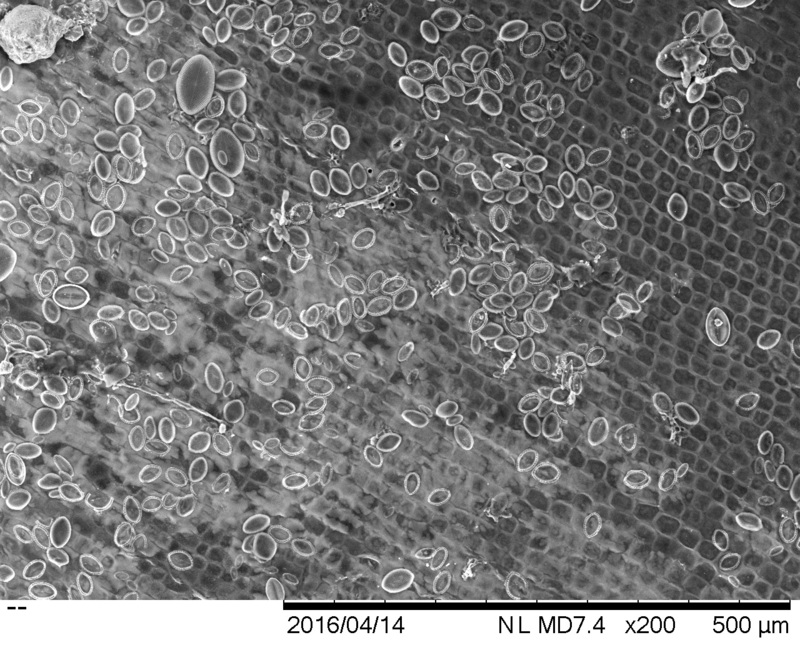 We put a minimal amount of sample of root (top), fresh leaf (right), decaying leaf (bottom), and rhizome cross section (left) on a piece of carbon conductive paper (sticky on both sides), which was stuck on top of the SEM sample mount. We then inserted the mount into the SEM and turned on the vacuum. 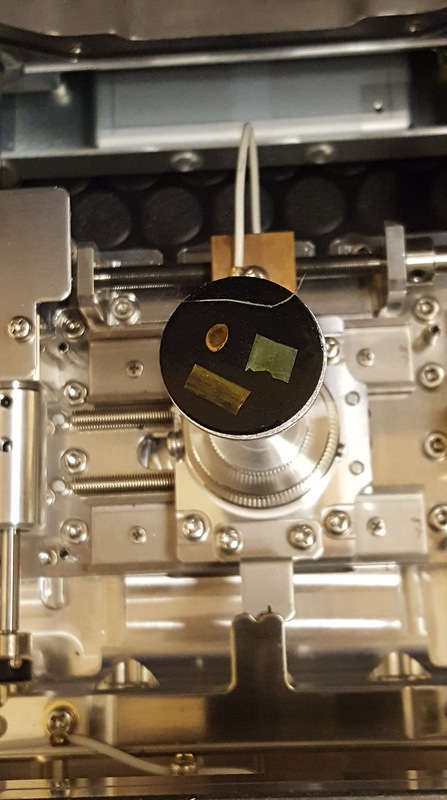 The vacuum for this particular SEM is actually a partial vacuum, which maintains a small amount of air molecules within the chamber, which produces a better image in the absence of coating your sample with conductors. The results were great! 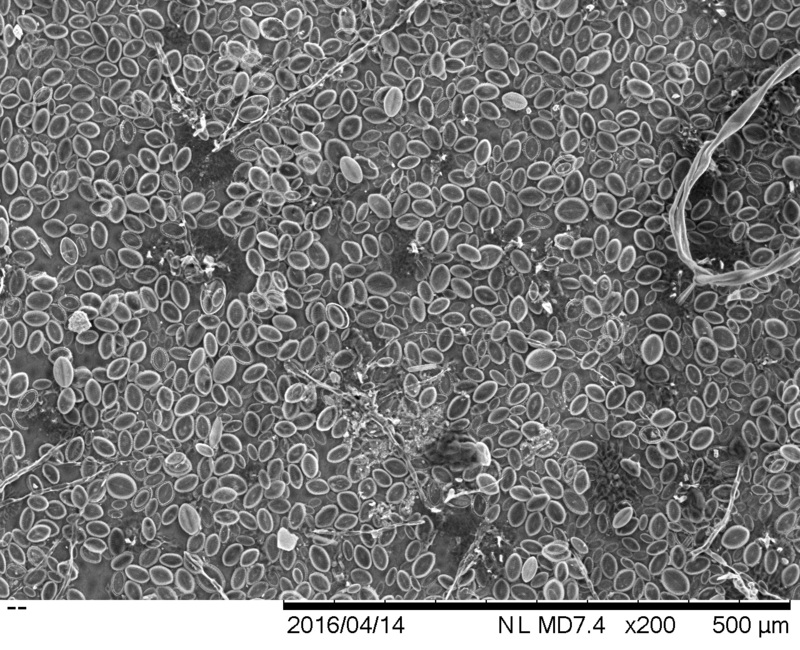 We were able to see a lot of diatoms spread out across the leaf surface, as well as some interesting plaque (?) formations on the root tips. We also noticed differences in diatom abundance between the live and decaying leaves, with the live leaf being completely covered with diatoms. Diatoms are marine microbial eukaryotes (Heterokonts) that form silica based outer layers, often resembling complex geometric patterns. 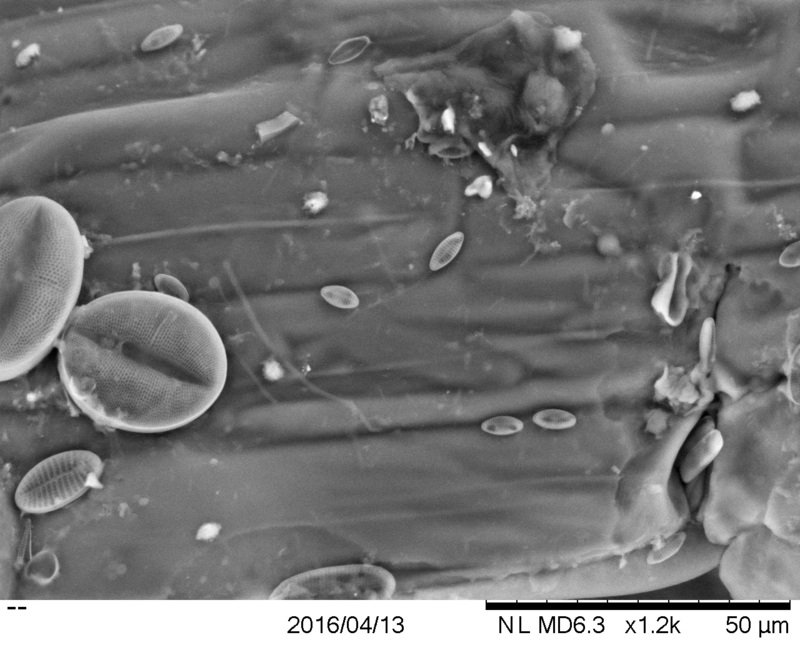 Diatom assemblages have previously been characterized in Thalassia testudinum and in Zostera marina. 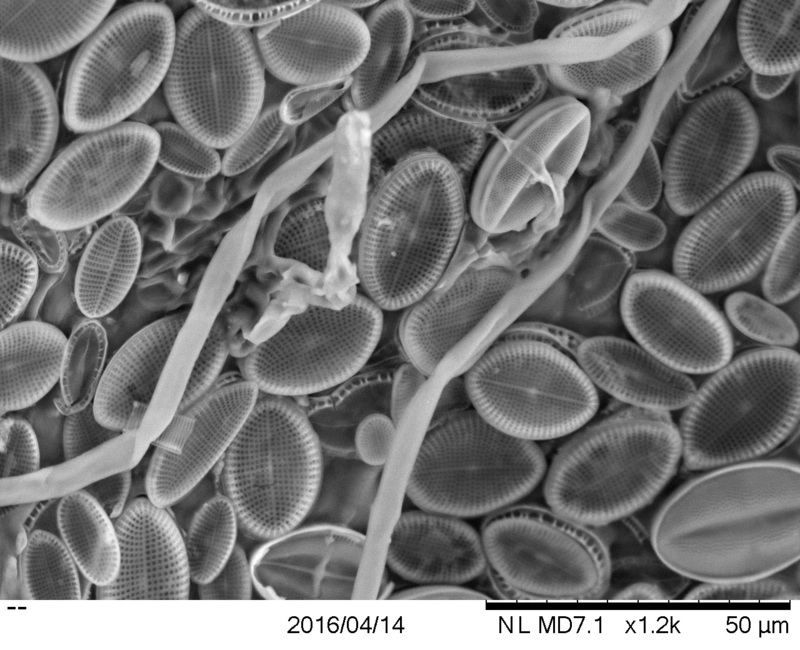 We’re excited to use the SEM to explore microbial diversity on additional seagrass species and freshwater relatives within the Alismatales. Hopefully these results can help inform our future culturing experiments.